“Truth in Acting” ~ Featuring Improv, Monologue, and scene work for the beginner or experienced actor in a safe, respectful environment. “Instant Improv (Just Add Actor! )” ~ A Progressive series of improvisational exercises and games. “Writing for the Theatre” ~ Create and craft a short play or a performance art piece in an intimate setting. Class sizes will be limited. Pre-registration is required. For more information, call (530) 265-6514 or email sandrarockman@outlook.com. 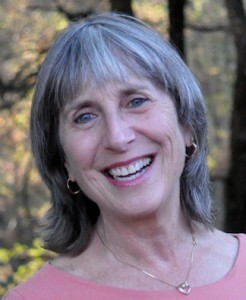 Sandra Rockman has been active in local theatre since 1978. She co-wrote and directed the recent production “Home for the Holidays”. Sandra will also be directing an upcoming Sierra Stages Fall 2015 production of “Falsettos”. The Foundry is a non profit organization. 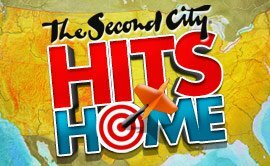 The Miners Foundry is pleased to present The Second City Hits Home on Friday, February 6, 2015. Nevada City gets in on the laughter as The Second City takes on all the news that’s fit to twist. The biggest headlines! The hot-button issues! And it’s all served up with with a side of that famous Chicago-style improv. 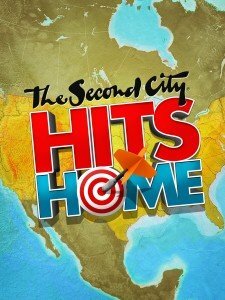 Don’t miss your chance to see the superstars of tomorrow live on stage now, when The Second City Hits Home! Doors open at 7:30 p.m. and the show starts at 8:30 p.m. Tickets are $40 in Advance and $45 at the Door. Tickets may be purchased online, in person or by phone at the Miners Foundry, or in person at Briar Patch. The Second City opened its doors on a snowy Chicago night in December of 1959. No one could have guessed this small cabaret theatre would become the most influential and prolific comedy theatre in the world. With roots in the improvisational games of Viola Spolin, The Second City developed an entirely unique way of creating and performing comedy. From Mike Myers to Steve Carell, Stephen Colbert to Tina Fey, The Second City imprint is felt across every entertainment medium. The Foundry is a non profit organization, pleased to support the Nevada County theatre community. The Miners Foundry and Second City will present an Improv for Actors Workshop on Friday, February 6, 2015 from 2:00 – 4:00 p.m. This class is perfect for college level improvisers or actors who want to use improvisational techniques to support their text work. The Second City’s Improv for Actors focuses on teaching students scenic improvisation with an emphasis on connection and relationship. Tickets are $20 for Students and $35 for Adults. The Second City opened its doors on a snowy Chicago night in December of 1959. No one could have guessed this small cabaret theatre would become the most influential and prolific comedy theatre in the world. 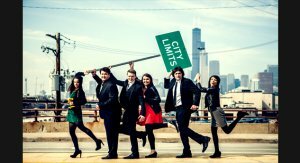 The Second City developed an entirely unique way of creating and performing comedy. From Mike Myers to Steve Carell, Stephen Colbert to Tina Fey, The Second City imprint is felt across every entertainment medium. 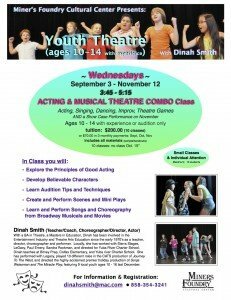 Dinah Smith will present an Acting & Musical Theatre Combo class for students ages 10-14 (with experience or audition only) on Wednesdays from 3:45 – 5:15 p.m. The series of ten classes will begin on September 3 and run through November 12, 2014. The last class will include a fun and entertaining Show Case performance for family and friends. Cost for the series is $200.00. For more information or to register, please contact Dinah Smith at (858) 354-3241 or at dinahsmith@mac.com . With a BA in Theatre and a Masters in Education, Dinah Smith has been involved in the entertainment industry and Theatre Arts Education as a teacher, director, choreographer, and performer since the 1970’s. Locally, she was worked with Sierra Stages, LeGacy, Paul Emery, and Sandra Rockman. 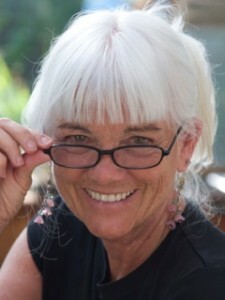 Dinah teaches at Bitney Prep, Colfax Elementary, and Yuba River Charter School. Most recently, Dinah directed the highly acclaimed premier holiday production of Sonja Weissman and The Miracle Play featuring 9 local youth performers. The Mission of the Miners Foundry Cultural Center is to preserve, enhance and utilize the historic Miners Foundry for cultural, educational and social activities. The Foundry is a non profit organization, pleased to support the Nevada County theatre community. 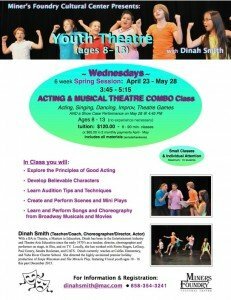 The Miners Foundry Cultural Center and Dinah Smith will present a spring series of Acting & Musical Theatre classes for students aged 8-13 from April 23 – May 28, 2014 at the Miners Foundry. Each class will run from 3:45 – 5:15 p.m., with a special Showcase performance on May 28th at 4:45 p.m. Tuition is $120.00 and includes all materials. For information and registration, please contact Dinah at (858) 354-3241 or dinahsmith@mac.com. With a Bachelor of Arts degree in Theatre and a Masters degree in Education, Dinah Smith has been involved in the entertainment industry and theatre arts education since the early 1970′s. Dinah has worked as a teacher, director, choreographer, and performer on stage, in film, and on TV as well as with a number of local theatre organizations. Most recently, Dinah directed the highly acclaimed premier holiday production of Sonja Weissman and The Miracle Play, featuring 9 local youth performers. The Mission of the Miners Foundry Cultural Center is to preserve, enhance and utilize the historic Miners Foundry for cultural, educational and social activities. The Foundry is a non profit organization, pleased to support the Nevada County Theatre and Education communities. 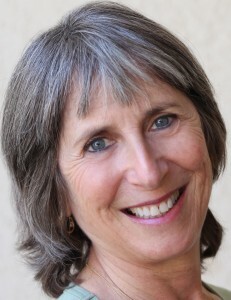 Sandra Rockman will present “Instant Improv” (Just Add Actor) on Saturday, February 16, 2013. The workshop will run from 1:00 p.m. – 5:00 p.m., and cost is $40.00. Students will learn improvisation for stage and life. Improvisation is a wonderful tool that can be as useful for the business meeting or the classroom as it is for the stage. Come and experience the power of joy-in-the-moment. The exercise and games are great for all levels and ages. 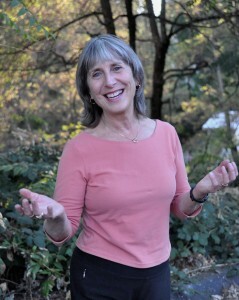 Sandra Rockman has been involved with the local theater scene since 1978. She is an actress, playwright, and has directed more than 25 productions, including the recent Paul Emery production of the classic Our Town at the Nevada Theatre. Class size will be limited. Pre-registration is required. For information about this and other workshops, as well as private consultations for all writing and/or theatrical projects, email Sandra at sandrarockman@sbcglobal.net or call (530) 265-6514. This workshop has been co-sponsored by the Miners Foundry Cultural Center. 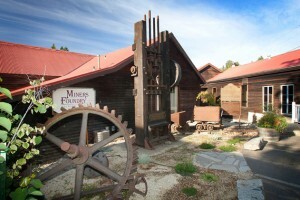 The Mission of the nonprofit Miners Foundry Cultural Center is to preserve, enhance and utilize the historic Miners Foundry for cultural, educational and social activities. Improvisation is a wonderful tool that can be as useful for the classroom or the business meeting as it is for the stage. Come and experience the power of joy-in-the-moment. The exercises and games are great for all levels and ages. 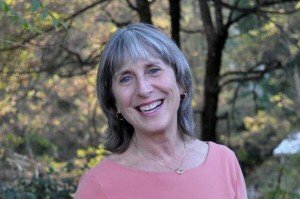 Sandra Rockman has been involved with the local theater scene since 1978. She is an actress, playwright and has directed more than 25 productions, including last summer’s A Funny Thing Happened on the Way to the Forum. For information about this and other workshops, as well as private consultations for all writing and/or theatrical projects, email sandrarockman@sbcglobal.net or call 530-265-6514. This workshop has been co-sponsored by the Miners Foundry Cultural Center.